The electronic cigarette (e-cigarette) industry is rapidly growing in the United States and the use of e-cigarettes is controversial. The controversy persists because researchers do not yet know if e-cigarette use results in more benefit than harm at the population level. New research from Dartmouth’s Norris Cotton Cancer Center, in collaboration with Moores Cancer Center at UCSD, UCSF School of Nursing, and University of Pittsburgh School of Medicine, quantifies the balance of harms and benefits using the most current scientific evidence. Utilizing census counts, national health and tobacco use surveys, and published literature, Soneji’s team calculated the expected years of life gained or lost from the impact of e-cigarette use on smoking cessation among current smokers, and transition to long-term cigarette smoking among never-smokers. “E-cigarettes could lead to more than 1.5 million years of life lost because their use could substantially increase the number of adolescents and young adults who eventually become cigarette smokers,” says Soneji. The results of their research, “Quantifying Population-Level Health Benefits and Harms of E-Cigarette Use in the United States” are newly published in PLOS ONE. Results find that based on the existing scientific evidence related to e-cigarettes and optimistic assumptions about the relative harm of e-cigarette use compared to cigarette smoking, e-cigarette use currently represents more population-level harm than benefit. While tobacco control efforts have successfully led to a substantial reduction in youth cigarette smoking since the 1990s, e-cigarettes have the potential to slow or even reverse that trend. 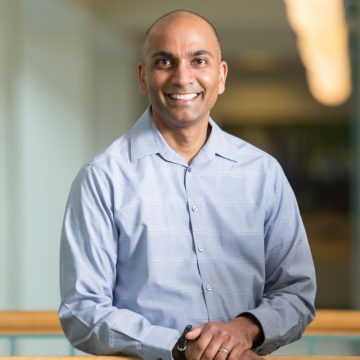 Samir S. Soneji, PhD, is an Associate Professor at the Dartmouth Institute for Health Policy and Clinical Practice, Geisel School of Medicine, Dartmouth College. He is also a member of the Cancer Control Program at Dartmouth’s Norris Cotton Cancer Center. His research interests include the value of cancer care, tobacco regulatory control, and cancer screening, and focus on developing and applying innovative and quantitative methods to questions in tobacco control and cancer screening. Norris Cotton Cancer Center combines advanced cancer research at Dartmouth’s Geisel School of Medicine with patient-centered cancer care provided at Dartmouth-Hitchcock Medical Center in Lebanon, NH, at Dartmouth-Hitchcock regional locations in Manchester, Nashua and Keene, NH, and St. Johnsbury, VT, and at partner hospitals throughout New Hampshire and Vermont. It is one of 49 centers nationwide to earn the National Cancer Institute’s “Comprehensive Cancer Center” designation. Learn more about Norris Cotton Cancer Center research, programs, and clinical trials online at cancer.dartmouth.edu.